Michael Gibson’s story in the hospitality industry is one of hard work, honesty, and ethical progression. Starting as a restaurant cook, Michael found his passion for the hospitality industry while gaining invaluable experience only offered to those who begin at the bottom of the ladder. He went on to open over forty upscale restaurants in Tennessee, Texas, and California. In his transition from restaurant to hotel management, Michael worked as a General Manager, Asset Manager, and Regional Manager of Marriott, Hilton, and InterContinental Hotel Group Brands. He became Vice President of Operations and Development for Carlisle Hospitality Group and a District Director for Food & Beverage Operations at InterContinental Hotel Group’s Corporate headquarters. Michael also served in a leading position within concept development at InterContinental Hotel Group’s corporate offices. 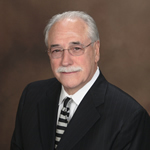 In 2000, Michael created Gibson Hotel Management, Inc., with a core philosophy of Servant Leadership. He oversees all operations, development, and acquisition activities, serving as the bedrock for the company’s ethos. In doing so, Michael has gained a reputation for his ability to create mutually rewarding relationships, motivate company associates, and think outside the box in order to forge “win-win” solutions. Michael Gibson and Gibson Hotel Management, Inc. has been recognized numerous times by Marriott, Hilton Worldwide, and InterContinental Hotel Group for developing and operating award winning hotels. 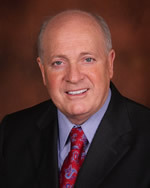 Within these world-renowned franchises, Michael has overseen the management, development, and acquisition of premium hotel brands such as Hampton Inn & Suites, Hilton Garden Inn, Holiday Inn Express, Holiday Inn (full service), Fairfield Inn & Suites by Marriott, SpringHill Suites by Marriott, and Courtyard by Marriott. Michael earned the American Hotel & Lodging Association Award for Tennessee (2012), and was also the Tennessee Hotelier of the Year (2011). Under Michael’s leadership, GHMI has been recognized as a Top Hotel Management Company (2012 & 2013). Further, he has served as the Chairman and President of the Tennessee Hotel & Lodging Association, Chairman of the Governor’s Tourism Conference, and Director for the Knoxville Tourism Alliance. Michael remains heavily engaged in community initiatives, with a special focus on the Wounded Warrior Project. This endeavor takes a holistic approach to serving soldiers and their families in order to foster a well-adjusted generation of wounded service members. He has also served as Chairman of the Tennessee Education and Award Committee. 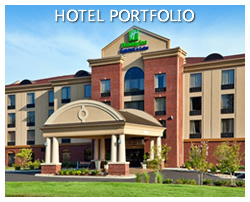 In each of the hotels below, Michael Gibson & Gibson Hotel Management & Development, Inc. associates played an central role in site selection, capitol pool structuring, branding, construction expertise, and day to day operations management. When he joined GHMI in 2010, Robert brought with him an impeccable 25 year track record and solid reputation for his experience and skill set in the areas of strategic business planning for premium hotels and hotel management organizations. Robert’s business knowledge and leadership ability in the hospitality industry is evident in his previous roles. 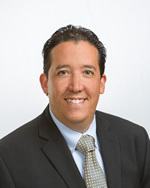 Prior to joining Gibson Hotel Management and Development, Inc., Robert served as a General Manager, Director of Food & Beverage, Regional Vice President of Food and Beverage, Regional Vice President of Operations, and Senior Vice President of Operations. This experience gave Robert the unique ability to examine hotel management and investments from both a property level and macro-level perspective. 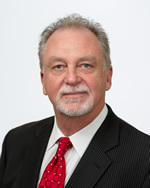 Further, Robert executed successfully in the positions of Vice President of Operations for Hanford Hotels, Inc., a Newport Beach, CA based hotel Management and Development Company, as President & Chief Operating Officer of Innisfree Hotel Corporation, and as Chief Executive Officer for Innwest Hospitality Corporation. Robert’s deep knowledge and experience in the lodging industry has enabled him to successfully engage in strategic planning, operations management, and development & acquisition projects. Throughout his career, Robert has worked with the major leading international brands including, Marriott, Hilton, InterContinental Hotel Group, and Starwood Hotels & Resorts. Joe joined M. Gibson Hotels in 2012 with a 20 year track record of experience in the Hotel, Restaurant and Hospitality industry. After attending the University of Tennessee Hotel Restaurant Management Program, he began his career in the hospitality industry and gained a variety of experiences within the hotel, restaurant and banquet/catering fields. Throughout his career, Joe has held numerous positions in the hospitality industry, each with new challenges and increasing responsibilities, including owner and operator of Pasta Trio, a successful restaurant in downtown Knoxville, Food and Beverage Director for the Knoxville Marriott and Holiday Inn World’s Fair Park in Downtown Knoxville, and as a commercial Realtor and business broker specializing in Hotel, Restaurant and Gas Station sales. 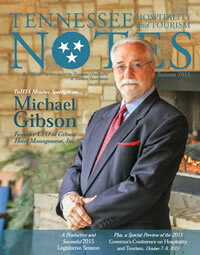 He first joined GHMI as the General Manger for the La Quinta Inn and Suites in Sevierville, TN. After overseeing a successful renovation of this property, he was promoted to General Manager of the SpringHill Suites by Marriott in Pigeon Forge and, shortly after, assumed the role of Corporate Operations Manager in addition to his position at the SpringHill Suites. His added duties included directly overseeing the operations for multiple premium branded award winning hotels. He has since been promoted to Vice President of Operations. Joe’s achievements as a General Manager with M. Gibson Hotels include 2012 Marriott Gold Circle Award, 2013 Marriott Platinum Circle Award, 2012-2014 TripAdvisor Certificate of Excellence, 2014 Expedia Insider’s Select Award and M. Gibson Hotels’ 2013 Hotel of the Year. Joe Palmieri recently joined Gibson Hotel Management, Inc. in 2016, after retiring from Hilton Hotels Corporation, with more than 40 years of experience and award winning performance, as a Vice President of Operations responsible for more than 30+ Full-Service hotels, General Manager for Luxury Full-Service hotels and Convention Center hotels with more than 1,000 rooms each, and brands ranging from Hilton, Embassy Suites, Doubletree and more. Along with achieving record profits and market share growth, Joe’s expertise also includes being responsible for many of the managed hotels multi-million dollar renovations, major additions and expansions. While achieving excellence with multiple hotel property’s performance, Joe, has served on association boards as Chairman, President, Vice President, and awarded for his service and efforts that gave back to the city, communities and citizens his hotel properties served. Joe received his degree from the University of Nevada in Hotel Management, received dean’s list scholarships, graduated first in-class, received his Certified Hotel Administrator (CHA) certification, and certification through the Cornell University GM University. Joe Palmieri will be responsible for growing Gibson Hotel Management’s presence in Texas, providing oversight to the existing Texas managed hotel portfolio, and growing the Company’s third-party hotel management portfolio throughout the state of Texas. 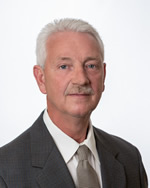 Dennis came to us with an extensive amount of facility engineering experience. He has led single property departments to multiple property inspections for companies such as Holiday Inn, Red Roof Inn, and for the United States Air Force. His knowledge of small machinery, HVAC systems, Boiler installation and repair as well as personal knowledge of hotel brand expectations are invaluable in the delivery of protection of property assets in upkeep and reporting. Mr. Foster was in the United States Air Force with designations for Aerospace Institute Digital Technology, BSS Intrusion Systems, and 486L Communication Systems. These eight years of experience made his move into the Hospitality field seem like an easy one. The high amount of detail orientation, as well as ability to analyze a problem and communicate the need so that areas of concern made him the right choice for us and our hotels. He has his E.P.A. Level I, II, III Universal Certification, AHMA CEOE, as well as other designations which are essential in doing this position. He is also well versed with state and local municipality organizations that govern our hotel/motel maintenance and inspections. Alicia is responsible for purchasing Furniture, Fixtures, and Equipment for all new construction hotels, renovation projects associated with product improvement plants, and targeted hotel refurbishment endeavors. She has over 20 years of industry experience including the food & beverage component of hotels, sales & catering, management of full service hotels, and bed & breakfast establishments. 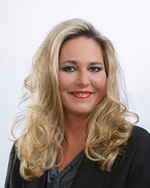 Alicia also served as a member of East Tennessee Meeting Professionals and Executive Women International. She has earned two Associates degrees, with one attained in hospitality management, while the other was achieved in Special Education. Alicia brings a consistent track record of success in the coordination of several critical projects, including 10 new construction hotels within a three year time period. She provides a results focused perspective in challenging project management situations. Alicia has proven to be an excellent problem solver with strategic and tactical skills. She is also a strong leader who inspires confidence and trust in others while motivating staff members to perform at high levels to consistently meet project expectations. Melissa joined GHMI as the Director of Human Resources in 2013. Melissa’s role focuses on compensation, benefits, training & development as well as staffing for a team of over 600 employees across four states. Prior to joining the GHMI family, Melissa spent 5 years as the Director of Employee Potential for a property management company with locations in TN, GA, FL, TX and CA. 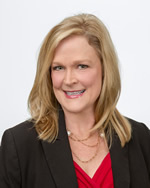 Melissa began her career in Human Resources over 18 years ago in the staffing industry where she worked 12 years for Randstad USA. Melissa obtained her Bachelors of Science degree from East Tennessee State University majoring in Elementary Education. Melissa is a member of the Society of Human Resource Managers and currently holds her Professional in Human Resources certification (PHR).